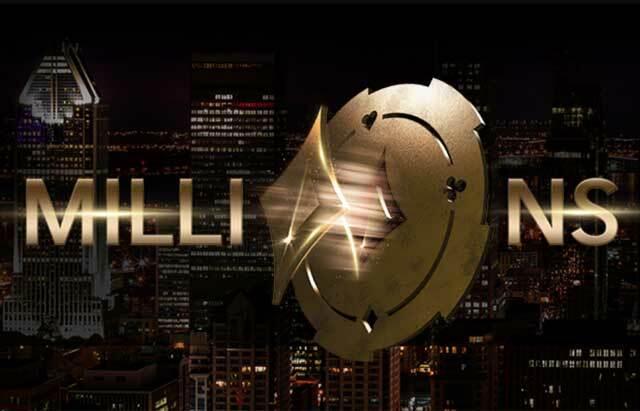 partypoker’s award-winning tournament, MILLIONS North America, returns to the Playground Poker Club on April 21. The festival is headlined by an inviting CAD $10,000,000 guaranteed Main Event with a $5,300 buy-in. If the mere total prize pool wasn’t enough to get players adrenaline spiking, it’s a certainty that, at a minimum, the top three finishers in the event will all walk away with at least CAD $1 million. Three instant millionaires. As partypoker continues to expand on their “player’s first” agenda, they find themselves offering some of the most ambitious tournaments of the year. A CAD $10 million guarantee may not be an easy number to hit. In fact, even though they have five starting flights (beginning on Tuesday, April 24) they are going to need 2000 runners in order to cover the guarantee. That’s great news for players – if they get there or even surpass it, there’s a massive prize pool. If by chance they happen to miss, there would be some added value in overlay. Either way, if players have ever been inclined to make it to Montreal – partypoker MILLIONS North America is the tournament to enter. In order to help them hit such a lofty attendee milestone, partypoker is running non-stop qualifiers on their site. Buy-ins start for as little as $0.50. Players can step their way through the satellite tree and wind up with a ticket that will have them seated in one of the largest tournaments of the year. MILLIONS North America Centrolls: a $0.50 satellite that guarantees at least five tickets to the $22 level. MILLIONS North America Quarter Finals: $22 buy-in. Those who make it through bring their stack with them to the Semi-Finals. Players who make more than one Semi-Final bring their largest stack forward. MILLIONS North America Semi-Finals: $109 buy-in. Same concept as the Quarter Finals. Build a stack to bring forward to the Finals. MILLIONS North America Mega Satellite: $530 buy-in. Win or buy your way into the Sunday satellite where no fewer than 10 seats will be guaranteed. Players can win multiple seats which can either be used for multiple entries or even sold. Like most step satellites, players can jump into the process wherever their bankroll allows. Sign-up for a Mypartypokerlive.com account today and you’ll get a $22 tournament ticket credited to your account so you can start trying to qualify for free! In addition to the non-stop online qualifying action, players who make it to the Playground Poker Club early will have a number of opportunities to win their way into the Main Event. Beginning on Sunday, April 22, the card room will be running a series of two-step mega satellites. Buy-ins begin at CAD $110 + $10 and they will feed, in total, a guaranteed 65 total seats to the Main Event. As value hunters, trophy seekers and shot takers descend on the Playground Poker Club in Montreal beginning on April 21, players have plenty of opportunities to win their seats at a fraction of the price. The path to partypoker MILLIONS North America starts for just $0.50 with qualifiers running right now around the clock online and in-person satellites starting on April 22.